It's beginning to look a lot like Modern/Primitive Guitar. Illustration by Gonzalo Fuentes Riquelme. 4 months 2 days ago. In the hallowed tradition of Chet Atkins, Shawn Persinger steps on the scene, nimble fingers flying across the strings of his acoustic guitar. Persinger (did you know Shawn Persinger is Prester John?) is a musician who makes the impossible seem effortless, who finds the grit in studied perfection. The avant-garde and the traditional meet here in a seamless, organic explosion of tonal depth and primal sophistication. Jazz, country, rock and folk musics from around the world unite where Persinger's hands touch his instrument, evolving into esoteric soundscapes of chunky rhythm and lighthearted melody. This is a journey where one might pause to shake hands with Doc Watson before stealing away across the wide open countryside with Django Reinhardt. Shawn Persinger is Prester John has taken the concept of modern/primitive visual art and recreated it sonically. What is modern/primitive guitar? Unique yet firmly rooted in a rich sense of musical history. Raw yet immaculate. Dark yet playful. 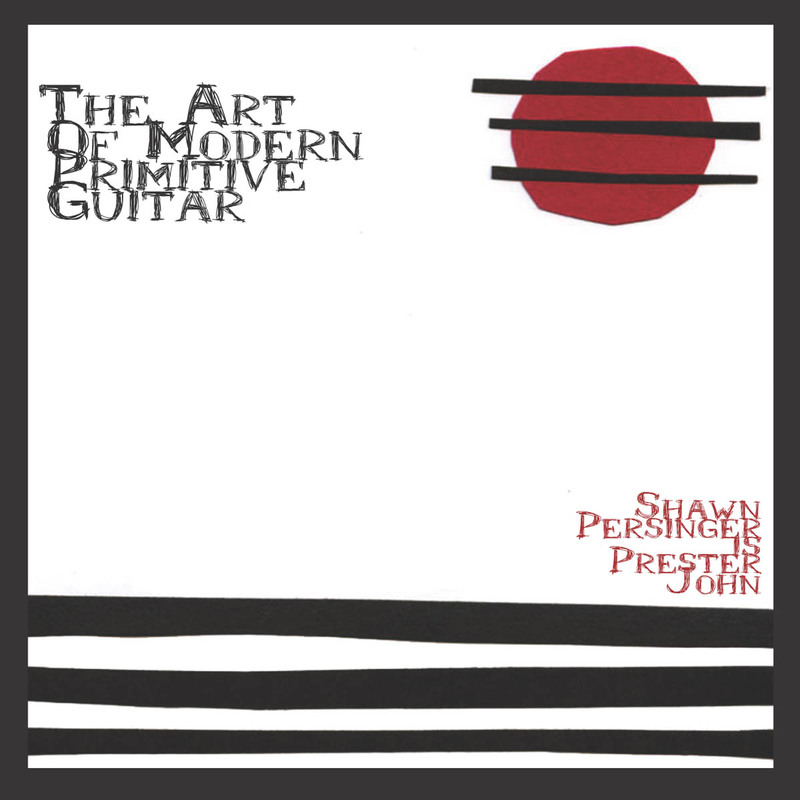 Shawn Persinger is Prester John is modern/primitive guitar. Shawn Persinger is Prester John is based in New Haven, Conn. If, to paraphrase F. Scott Fitzgerald, the mark of a great artist is being able to keep two contradictory notions in mind and still function, then Persinger's musical abilities know few bounds. With silly little titles and some shockingly advanced ideas about what a guitar can do, "The Art of Modern/Primitive Guitar" fulfills all it's goals handily. Shawn's conception of guitar playing is constantly delightful. Gorgeous, surprising textures - a beautiful combination of the sophisticated and the raw. A complete joy to listen to, fun and extremely thoughtful. Sort of takes off where the beloved Michael Hedges left us but with a sense of musicality that is all Persinger's own. It’s almost unholy the kinds of things Shawn Persinger can do to his acoustic guitar. There’s a four-step process one goes through when first hearing, and digesting, his music: 1. Straightening up in your seat and attempting to figure out what’s going on. 2. Wondering if it really can be just a guitar. 3. Starting to hear the intricacies and getting amazed at exactly what Persinger is doing to the six-string instrument. 4. Total bewilderment and enjoyment. "...thrill to his technical mastery and exhilarating riff (they) point to bold new directions." "Editor's Pick, Best CDs of 2004"